The Waterford at Dillon Pointe was the one I liked the most among those I visited. It was very nice and very clean. The residents were out and about doing things. It was really appealing. The rooms were nice, large, and very clean. The location had good access, and the grounds were beautiful. I would recommend it, and I was really impressed with it. The best way to get to know a community is by scheduling a tour. 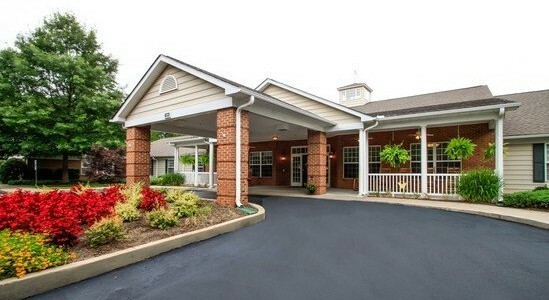 See the facilities, meet the staff and residents, and get a feel first hand what it's like to live at The Waterford at Dillon Pointe Assisted Living. Live in the hub of local activity while enjoying the intimacy of The Waterford at Dillon Pointe. Our Assisted Living and Memory Care community in Spartanburg, SC, offers personalized services and thoughtful amenities that generate excitement and pride among residents and their guests. The caring and professional staff at The Waterford is available 24 hours a day to provide a helping hand with the activities of daily living while at the same time allowing residents to remain as self-reliant as possible in an environment that fosters support. Our spacious apartments offer thoughtfully designed floor plans that are handicapped accessible and boast ample safety features for the ultimate peace of mind for residents and their loved ones. A full calendar of activities and social programs are available so residents can live a rewarding, enriching lifestyle without the worries of cooking, cleaning and maintenance. The Spartanburg Assisted Living and Memory Care community puts residents in the heart of premier shopping, dining and entertainment venues in The Upstate when they choose to get out and explore the city. Courtesy transportation is always available to medical appointments at any number of facilities in the surrounding area.